30 Oct 2018 --- ADM’s specialty ingredients business is targeting new innovation platforms for growth, including savory solutions, as the unit moves far beyond their traditional beverage base. WILD Flavors & Specialty Ingredients (WFSI), the legacy Wild business is using SIAL 2018, which ends today in Paris, to highlight a complete range of concepts featuring ingredients from across the ADM portfolio, for complete new product synergy. “ADM’s nutrition division is now positioned as a new ingredient solution provider, not just for beverages, as in the past. We are delivering food solutions and also expertise for different segments in the food and beverage industry,” Bastian Hörmann – Product Manager Food EMEAI notes at the Paris event. 02 Feb 2018 --- Volcanic Pili Nuts (Philippines) Mount Mayon brings a new, highly healthy and extremely tasty nut product from the Philippine rainforest. The Volcanic Pili Nut comes as a new culinary nut sensation prepared using only ancient health enhancing processes. The company’s 17-step sprouting and “slo-dry” technique uses only four ingredients: Wild-crafted Volcanic Pili Nuts, Organic Ecuadorian Cacao, Organic Coconut Flower Sugar and Raw Pink Himalayan Salt. This new product has already gone beyond “notion of concept” and is selling briskly in 5-star venues in the company’s test market in Macau. They have begun online sales in the US and were recently selected by France’s Michelin Chefs as the only gourmet product to be featured at the recent annual Meilleurs Ouvriers de France (MOF) Cote d’Azur 2017 Gala dinner. 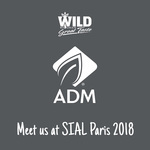 11 Dec 2017 --- There is a big trend in the industry toward sugar reduction, particularly with the onset of sugar taxes in the UK and Ireland in 2018, and ADM Wild is ready to meet these demands. “Luckily, we are in the position to offer our customers a very broad range of different ingredients, which we can use like different products out of a toolbox to balance out the reformulation when taking sugars out of a product,” says Helene Moeller. But for ADM Wild, taking out sugar doesn’t only mean reducing the sweet taste; it also means that the company needs to balance out the mouthfeel and other important qualities. 07 Dec 2016 --- Arjuna Natural Extracts launched TRILOW, its Indian gooseberry (Phyllanthus emblica, aka amla) ingredient, a complete extract of fresh ripe fruits of wild amla, collected seasonally from the tree. Arjuna’s unique and proprietary gentle extraction process preserves ingredient functionality and ensures potency. TRILOW has attained US patents for its composition, plus has pending patents worldwide. Indian gooseberry is a traditional Indian fruit that combines superfruit health benefits with traditional Indian Ayurvedic formulations. In recent clinical trials, including results from a new study that was released at HiE, it has demonstrated heart health benefits, including reducing LDL and triglycerides. 18 Mar 2019 --- Key suppliers offer their thoughts on beverage trends to look out for in 2019 and beyond. How does the drinks industry meet the demands of an adventurous consumer? 08 Feb 2017 --- Key suppliers offer their thoughts on key sweet goods trends to watch. Trends include the rise in blurring boundaries, whereby savory and sweet flavors are combined together in NPD. 01 Sep 2015 --- For many years, EU legislation about additives has defined what a food color is, and it creates a distinction here when it comes to the substances known as coloring foodstuffs. Starting in December, coloring foodstuffs will no longer be available if they do not comply with the EU guidelines. 20 Feb 2014 --- With its latest ginger preparation, WILD is offering a distinctive taste sensation to round out its portfolio of extracts and flavors. These natural ingredients are versatile and can be used in anything from confectionery products to beverages.